MTN PRO Erasable Chalk Paint 150ml - CWB Orange is a non-permanent removable spray on chalk paint designed for temporary uses. The Montana Colors Chalk paint uses the highest pigments to give your project that extra pop. The perfect tool for sidewalk chalk art or temporary window signs. Montana Colors Chalk Spray Paint CWB Orange is a mild orange hue with a flat or matte chalk finish. *Does not turn walls or surfaces into a chalkboard. 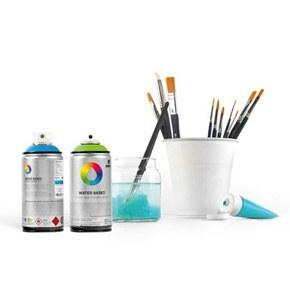 For paint designed to create a chalkboard see MTN PRO Chalk Board Paint.